MSNBC's Morning Joe took a break from comparing Trump to assorted dictators past and present to heap copious praise on Speaker Nancy Pelosi Tuesday morning. Co-host Joe Scarborough claimed it was funny that as part of the effort to re-elect President Trump, Republicans were trying to paint Democrats as the party of Alexandria Ocasio-Cortez, given Nancy Pelosi's apparent mocking of AOC's Green New Deal. Scarborough adamantly declared that the Democratic Party "is Nancy Pelosi's party" and any attempt to paint it as the party of Ocasio-Cortez was just a Republican effort to portray the Democrats as a bunch of far-left crazies. The fact that many Democrats in Congress and nearly everyone one running for President applauded the Green New Deal, which outlined the desire to get rid of the combustion engine and cow farts, was ignored by Scarborough. 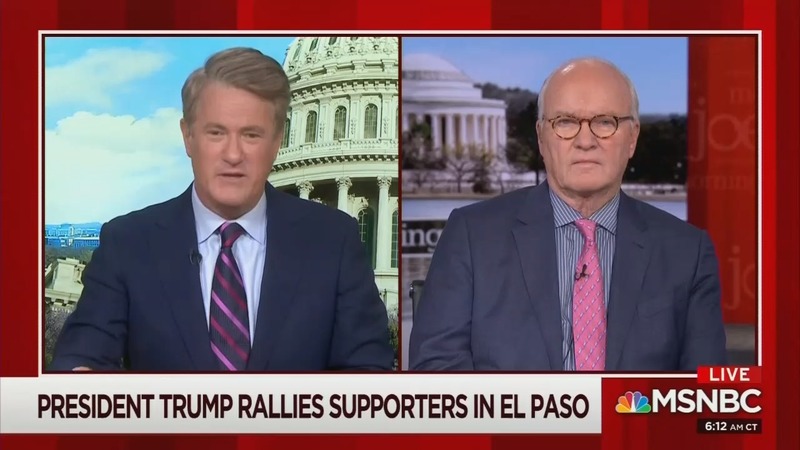 MSNBC political commentator Mike Barnicle was in just as much awe of Pelosi. He credited her with uniting the various factions within the Democratic Party from the far-left to those on "the right." Which Democrats could be considered on the right was not said. Twenty months until Election Day and Barnicle was already crediting Nancy Pelosi for delivering a win for whoever the Democrats happen to nominate, provided they do not "badly **** it up." Barnicle stated that it was to the Democrats' benefit that they are better "reflection of America," to which Scarborough sardonically replied, "I'm not so sure. Donald Trump and the Republican Party, maybe they don't reflect how America looks right now, but they do reflect how Skull and Bones looked at Yale in 1947."